On October 16, Korolev sent a note to the Central Committee describing highlights of the second satellite mission and outlining challenges to launch on time. Typically for documents of this sort, all key industry officials including Ryabikov, Rudnev and the commander of Strategic missile forces Nedelin endorsed the document. The note confirmed that the satellite mounted on the second stage of the R-7 rocket would have a mass of 7.5 tons and carry equipment for studies of short-wave portion of Sun's spectrum, sensors to measure temperature on the surface of the satellite and a cabin with a single dog. Also onboard, would be two transmitters (working at frequencies of 20 an 40 megahertz) for determining coordinates of the satellite, telemetry hardware for downlinking scientific data and a pair of angular reflectors for facilitating the radar tracking. 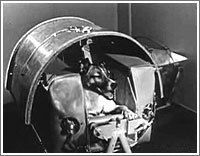 The note confirmed that the goal of the experiment with the dog had been preparing for manned space flight, however it also warned that the deployment of ground receiving stations to downlink scientific data from the spacecraft had presented serious difficulties due to limited time left before the launch then scheduled between November 3 and 5, 1957. Likely reflecting a discussion about the amount of details in the public announcement about the mission, the note proposed to acknowledge the fact that the satellite would remain attached to the rocket (likely to prevent reports about the separation failure between the rocket and a spacecraft). At the same time, the official mass of the satellite would only represent a total for the payload (300 kilograms) in order not to disclose true size of the R-7 ballistic missile. Just a day after the note was delivered to the Central Committee, its presidium formally approved the plan on October 17. Dog cabin: The core of the second satellite would be a Hermetic Animal Cabin or GKZh, from Germetichnaya Kabina Zhivotnogo in Russian. 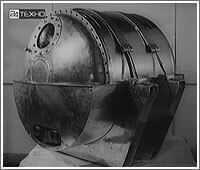 Measuring 0.8 meters in length and 0.64 meters in diameter, (2) it derived from the retrievable container, used to launch dogs on the ballistic trajectory onboard the R-2A rocket. 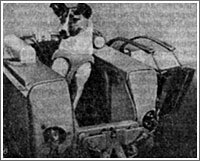 (84) The aluminum cabin was equipped with sensors to measure ambient pressure and temperature, as well as the canine passenger's blood pressure, breath frequency and heartbeat. These instruments allowed ground controllers to monitor how the dog functioned and died in space. A small window was cut in the forward bulkhead of the cabin. There were reports that the cabin also carried TV camera, however more reliable sources do not list it among onboard hardware. Inside the dog cabin, high-active alkaline compounds had been used to generate oxygen and consume carbon dioxide and excessive water vapors. Flat panels containing chemicals designed to regenerate the atmosphere of the cabin were located on both sides from the dog. The life-support system was designed to automatically maintain proper levels and intensity of the atmosphere regeneration. Due to luck of gravity and convection, the cabin was equipped with a ventilation system. The feeding system for a dog resembled an ammunition belt of a machine gun, carrying small trays of jelly-like high-calorie food and periodically opening cover. Each tray contained a day worth of food, with the total supply for 20 days. 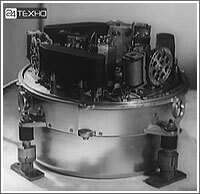 The main challenge for the developers was to quickly build a telemetry system, which would transmit scientific data back to Earth. 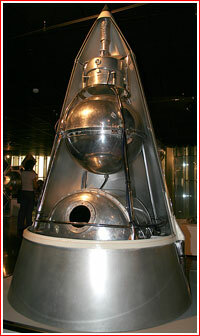 A special truss structure held main elements of Sputnik-2 together. A payload fairing protected the satellite during the launch and it would be jettisoned at the end of the powered flight, apparently leaving it in orbit along with the satellite. In addition, some sources claim, the dog cabin was equipped with a slow-scan TV camera, capable of transmitting 10 frames per second with 100 lines per frame. The imagery was channeled via the Tral telemetry system, using its frequency. 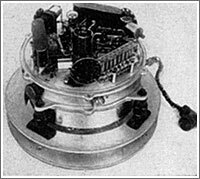 (262) However according to the developer of the television system, it was not ready until first test launches of the Vostok spacecraft. According to the flight program, the satellite was to enter orbit with the altitude of a perigee (lowest point) 223 kilometers above the Earth surface and apogee (highest point) 945-1,555 kilometers. The scientific equipment was designed to transmit data for at least seven days. (A secret note No. 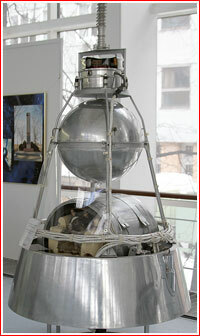 SK-3/2468 to the Central Committee promised operations of payloads during 5-7 days.) After radio transmitters onboard would stop working, ground control hoped to use optical and radar systems for further tracking of the satellite. 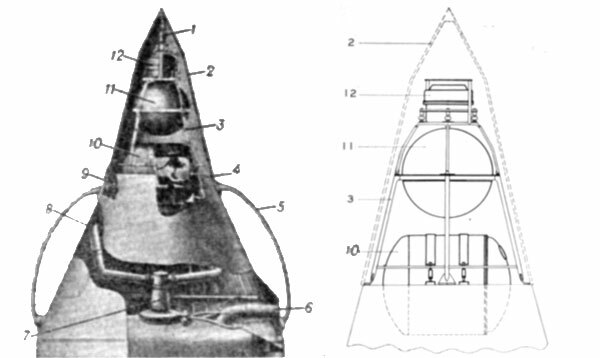 A number of modifications were introduced to the launch vehicle, intended to carry Sputnik-2 into orbit. Last but not least, a number of steps were made on the ground to prepare for tracking the second satellite in orbit and capturing its scientific data. Dog's cabin for the second satellite.